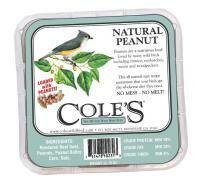 When you have to pick between a fresh gourmet meal and one thrown together from leftovers, the answer is obvious. 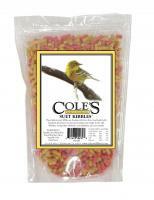 Give your birds the obvious choice of delicious and quality bird feed from Cole's Wild Bird Products. 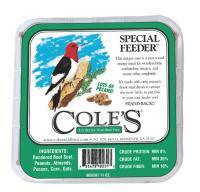 Once your birds get a taste, their appetite for Cole's becomes insatiable. The company grew out of the Cole family's love for birdwatching and continues to be passed down through the generations of bird lovers in the family, keeping that homemade feel to all its bird products. 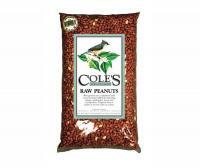 Cole's is constantly working to create new blends to attract the greatest variety of birds and hot blends to discourage pesky squirrels from eating the delicious feed. 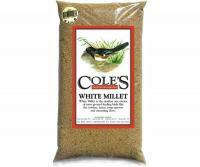 Even though your birds will be 100% satisfied with Cole's Wild Bird Products, we also give you a 30-day, money-back guarantee on all of our products to make sure you're happy too! Very pleased, birds came the second day it was up no squirrels. 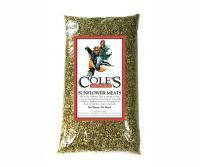 Hope to order again. 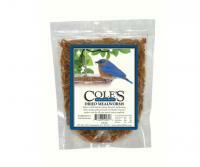 The finches love these seeds, that's what counts.